Steak ‘n Shake serves some of the finest burgers and most refreshing shakes in America. A subsidiary of Biglari Holdings Inc, the company has been in operation for 80 years. The restaurant chain was born in 1934 in Illinois, thanks to Gus Belt, who wanted to serve only premium milk shakes and burgers. The burger patties didn’t have extenders, while the milk shakes were hand-dipped. The restaurant is also known for the slogan, “In Sight It Must be Right”, which Belt coined because he liked to prepare his burgers in front of guests. Should you want to work for the company, you’ll be getting free drinks, discounted meals, flex-time work schedules, paid sick leave, holidays, and vacation. The company also offers retirement and insurance benefits. The company is a great training ground especially for young employees. The tasks may be challenging, but they are equally rewarding when you receive your pay and promotion. Co-workers are warm, friendly, and approachable. The minimum age requirement for entry-level jobs is 16 years old. Labor laws concerning minors depend on each state. Teenagers may apply as server, busser, dishwasher, drive-thru attendant, team member, and cashier. The company offers various jobs for aspiring applicants. Most of these are entry-level and managerial jobs. These positions are available on the Careers page of the company. The cashier provides the best hospitable service to customers and takes their orders promptly. He punches in accurate prices of orders and handles cash transactions with ease. He quickly prepares and delivers meals and drinks to guests. He also maintains the cleanliness of the restaurant. The busser performs various duties such as clearing and cleaning tables after the guests have left, creating a friendly atmosphere in the restaurant, greeting customers in an enthusiastic manner, and ensuring food items and condiments are replenished. Bussers may also wash dishes. The cook also works as the grill operator. His primary tasks are preparing orders promptly (within 5 to 8 minutes). He works in accordance with company standards and policies. He restocks ingredients, cleans utensils and cooking equipment, and sanitizes his work area. Qualified candidates must be able to work with both hands and handle pressure. Aside from leading the staff by example, the restaurant manager should also be able to identify and train staff members with leadership potential. He possesses the power to motivate his team members. He leads the staff to achieve the Every Store Perfect (ESP) status. He is strict when it comes to finances and other similar transactions. The qualified candidate manages and supervises shifts effectively. He is able to identify and remedy errors even before they get out of hand. He is the epitome of hospitable service, and helps the staff achieve the highest standards in food service. He works closely with the Manager. The drive-thru operator serves drive-thru guests. He should be able to sell a product and/or conduct transactions in 3 minutes. He must have a clear vision and possess good listening skills. Manual dexterity and physical strength are required. The operator must be able to retain verbal requests. The essential duty of the food prep operator is counting, recording, and preparing all food products. He must be familiar with the use of cooking equipment (i.e. slicer, chopper, oven, and fryer). He can see well and listen attentively. He should be able to lift objects that are about 30 pounds in weight. The dishwasher ensures that there are enough plates and utensils for customers. He performs various cleaning assignments and keeps stations always replenished with condiments and tableware. The dishwasher should have excellent interpersonal skills. The qualified applicant can keep his composure despite stressful moments in the restaurants. The dressing table associate’s task is to prepare condiments and ingredients for burgers. He prepares salads, French fries, chili, and other meals stipulated in the menu. He should be able to work well under pressure. Dressing table associates are also expected to perform other duties relevant to the cleanliness and orderliness of the restaurant. The district manager should have, at least, 3 years’ worth of management experience. He is a great leader, who is capable of increasing sales and identifying factors that contribute to the opposite. He can handle crisis with ease. He also uses his business acumen to strategically decide on the next initiative. View open positions on the company website. There are 4 search boxes you need to fill out – these will help filter your search, as there are over 4,000 job postings from various branches. Scroll down and you will see the links to the job description. Hit the blue Apply Now button. However, you will be asked to enter a TalentReef account, of which Steak ‘n Shake is a partner. However, the application forms are not available on the site itself. You have to visit the company headquarters to get a copy. Fill out this form and submit it to the HR department together with your resume and cover letter. Keep your resume short and simple, especially if you’re applying for entry-level jobs. Include a summer of your skills, then your highlights and strengths. Write down your relevant job experience and educational background. The interview process is a different matter. Questions are usually about yourself (your hobbies, previous work experience) and what you know about the company. Be ready with your answers. It helps to research on the company and its mission and vision. The work culture in Steak ‘n Shake is fast paced and loud, and this is precisely why the company looks for dexterous people who can handle pressure well and can multitask. Though the company continues to share its wondrous meals across America and the globe, the construction of its branch in Tuscaloosa has been delayed because of the franchisee’s health issues. 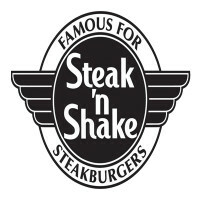 Despite this minor drawback, Steak ‘n Shake continues to be one of the fastest growing restaurants in United States, with over 550 branches. The company is known for its speedy service. The company helps its employees and supports those living in poor communities. Employees also try their best to sustainable measures and cooking procedures. They reduce carbon footprint as much as possible.